An email to all CNET employees from Smith and CNET CEO Neil Ashe (now CBS Interactive President) is below. It’s interesting that there’s no mention of Dan Farber, CNET News.com’s editor-in-chief, in the leadership section. Just an oversight, or is CBS just making it clear that they don’t think much of CNET’s newsroom? Update: We’ve added a second email from CBS CEO Leslie Moonves to all CBS employees. He at least mentions that CNET is in the news business, listing “news” before business but after technology, entertainment and sports. Welcome to the new CBS Interactive: the premier online content network for information and entertainment. As announced a few minutes ago, CBS is thrilled to welcome the employees of CNET Networks to CBS, and to introduce its new Interactive business to the world. Together, CBS and CBS Interactive represent an unbeatable combination of premium content online, premium content on air, and premium audiences. As a leading online media network, CBS Interactive has an impressive portfolio of brands, including CNET, CBSSports.com, CBS.com, GameSpot, TV.com, BNET, and Last.fm, to name a few. Together, we cover just about every major category that advertisers care about: technology, entertainment, sports, news, and business, and we have the ability to offer advertisers access to active and engaged audiences, across all platforms – on air (radio and TV), online, mobile and outdoor. Over the past several weeks, the integration team, which includes leaders from both organizations, has been working aggressively on the organizational structure and our go-to-market strategy. Now that we’re officially closed, we’re excited to tell you about some of the progress we’ve already made in the past 30 days. This progress is a direct tribute to the core team who has been working on integration, and also to the fact that we have two businesses that complement one another so well. We have a lot more work to do and will be making a lot more announcements over the coming weeks. But, to have the organizational structure, brand and mission established on Day 001 is unprecedented. Starting today, we are all part of CBS Interactive, a division of CBS Corporation. CBS Interactive is the premier online content network for information and entertainment. · Chief Financial Officer: Zander Lurie will take on the role of CFO for CBS Interactive. Zander joined CNET Networks in 2006 as Senior Vice President of Strategy and Development. In 2008, he took on the role of Chief Financial Officer, where he was responsible for planning and managing the company’s financial activities in order to help the company expand its business, including overseeing the pivotal advertising and content partnership with Yahoo!. Bryon Rubin will be instrumental in the vast amount of integration – financial and otherwise – that needs to be done in the coming weeks and months. After the lion’s share of the integration is complete, Bryon will return to head up CBS Corporate Development for Joe Ianniello. · News & Technology: Joe Gillespie will be responsible for overseeing the news and technology brands, which include CNET.com, News.com, and CNET Download.com, as well as CBSNews.com. Tom Jones continues to report to him as head of sales. Together, these brands represent the leaders in both the technology and news categories. Joe joined CNET Networks in 2004, and brings more than 20 years of operations, sales, and marketing experience, spanning online, television, events, and print media. There is no one better suited to lead these important brands into the future. · Entertainment: With sites spanning music, gaming, television, film, and lifestyle, the entertainment properties are divided between Stephen Colvin and Anthony Soohoo. Stephen and Anthony will work closely with Quincy to take advantage of the incredible opportunity this large category presents. o Stephen Colvin is leading our games, music and lifestyle brands, including GameSpot.com, Last.fm, MP3.com, CHOW, UrbanBaby, and Metacritic. Jaci Hays will continue as head of Sales, with Amy Venier filling in during her maternity leave. Kevin Menard retains responsibility for sales at Last.fm. We’re particularly excited about the opportunity this presents for Last.fm, which will benefit from the cross promotional opportunities available with these other sites. Formerly president of Dennis Publishing, Stephen has a keen understanding of how to build brands that captivate people. o Anthony Soohoo will run TV.com, the CBS Audience Network, its hub CBS.com, TheInsider.com and the Wallstrip team. Ken Lagana will continue as head of Sales. Anthony, who previously worked at Yahoo! and Inktomi, will also be responsible for existing CBS online content, cross platform content production, as well as original Web content in Entertainment. · Sports: Jason Kint, who led this years’ record March Madness on Demand, will oversee our diversified sports portfolio, which includes top destinations like CBSSports.com, CBSCollegeSports.com, OAS Group, NCAA.com, MaxPreps.com, and the CBS Collegiate Sports Properties, and is a great example of how an interactive property can be complementary to its Network partner. Rich Calacci continues as head of Sales. Jason and the CBSSports.com team will still be based in Ft. Lauderdale. · Business: Greg Mason, who joined CNET Networks in 2000, will oversee the Business portfolio, which includes BNET.com, the cornerstone of the business category, and leading sites like ZDNet and TechRepublic. Wayne Silverman continues to report to Greg as head of Sales. We are excited about the potential of BNET.com, which is the fastest growing business site and the go-to resource for managers who are looking for information that helps them succeed in their careers. We look forward to continued growth of these brands under the leadership of Greg and Wayne. · International: Adam Power continues to lead our international operations, as he has for the past 12 years. This includes our very successful business in China, where we have dynamic and growing leadership positions online in technology, autos and women’s lifestyle. We will continue to look for ways in which we can scale this business more quickly. As part of the integration process, our sales and marketing teams have been working on developing our go-to-market strategy and the branding of this new division. Jo Ann Ross will remain closely involved, working with Dave Morris initially on the integration of the CBS and CNET Networks Sales team. Jo Ann and Dave will also work to optimize the coordination between the powerful CBS Network Sales organization and our growing Interactive group in order to best meet the need of our customers. Morris, a 20 year veteran of Time, Inc. where he was publisher of Entertainment Weekly, EW.com and Sports Illustrated, will continue as Chief Client Officer at CBS Interactive, and will drive the revenue strategy for CBS Interactive, including management of partner accounts and advertising programs across CBS Interactive. Interactive Sales leaders will report directly to the heads of each business unit. Patrick Keane and Mickey Wilson will work together on integrating marketing, focusing on strategy, processes and structure. Drawing on their experience in sales development, analytics, marketing and communications, Patrick and Mickey will inform our positioning, marketing programs, research, and ensure a smooth transition for both organizations. In order to be successful, we need to take advantage of our combined scale and best in class systems across our business. We are fortunate to have the team of Sam Parker and Steve Snyder leading the integration effort and developing combined operations. We couldn’t ask for two better people to be leading this effort, as both of them have a keen understanding of how to scale our systems to achieve success. Led by Jeff Sellinger, the Mobile team will work across all categories and online brands to support each business unit in developing their mobile strategy and business plan. This structure allows us to tap into this team’s expertise in developing content and advertising strategies for the mobile platform. Before joining CBS, Jeff was a founder of GoldPocket Wireless. Finally, each of the corporate functions will now have dual reporting into Neil as well as into CBS Corporate to make sure that the interests and strategies of CBS Interactive are aligned with the company as a whole. Mike Marquez, who previously worked at Yahoo in corporate development, will work closely with Quincy, Neil and Zander on Corporate and Business Development for CBS Interactive, as well as with Joe Ianniello for CBS Corporation; Andy Sherman, who joined CNET Networks in 2007 from Sybase, will lead legal, interfacing with Lou Briskman; Jose Martin, who joined CNET Networks in 2007 from Electronic Arts, will lead HR, working with Tony Ambrosio; and Sarah Cain will work with Gil Schwartz and Dana McClintock of CBS Corporate Communications. We are very excited about the opportunities that lie ahead for us. We’ve got an incredible group of people with unmatched experience, the best brands on the Internet, and the power of the entire CBS Corporation to propel these properties to new levels of success and awareness. With all of our efforts combined, and the commitment and support of the CBS leadership team, including Leslie, Fred Reynolds and Joe Ianniello, we will be bigger, bolder and better. Today we announced the completion of our acquisition of CNET Networks, Inc., which makes CBS the eighth largest web network worldwide in unique monthly users. I couldn’t be more pleased to have these incredible assets as part of our portfolio, which now rivals any of our peers competing in the digital space. And as we move to integrate these properties into the CBS framework, I am announcing the expansion of CBS Interactive, which will now incorporate all of the premium online brands of both CBS and CNET Networks into one business unit. From entertainment, news and sports to technology, games and business, the combination of CBS and CNET Networks gives us the content and scale to be leaders on a platform that is gaining audience share faster than any other. In addition to greatly expanding our size, CBS Interactive is now a top five premium content ad supported network; the number one technology network, led by CNET.com; and the number two entertainment and sports network for men 18-34. Our unparalleled collection of sites will be an extremely powerful vehicle for advertisers to reach highly attractive demographics. At the same time, CBS Interactive will extend and leverage the power of our traditional businesses, as well as serve as a platform to launch the next generation of leading interactive properties that will play a central role in CBS’s future. I couldn’t be happier to welcome all the people of CNET to the new CBS Interactive group. I know we’ll all do great things together. As part of this merger, I am pleased to announce Quincy Smith will now be Chief Executive Officer, and Neil Ashe will be President of the newly expanded CBS Interactive. Quincy has headed our interactive businesses since joining CBS in November 2006, while Neil has headed CNET Networks since October of the same year. Quincy’s unique understanding of the interactive space has pushed CBS to the forefront of new media. There are so many more promising market opportunities before us and I greatly look forward to his continued leadership as we evolve our company at this exciting time. And Neil brings a broad range of experience to this important new role. His strong background as both a strategic executive and a results-oriented operator will add significant energy to this increasingly vital part of the CBS Corporation. 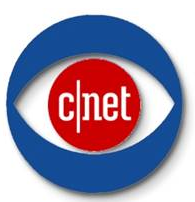 · Technology: CNET.com is the number one Web site in the computer and consumer electronics category, reaching more than 18 million people every month with daily offerings of premium content. From the latest product reviews to breaking news from the digital world, as well as video and program downloads, CNET.com has become the leading destination for people looking to navigate today’s digital world. · Entertainment: Representing the third largest online entertainment group on the web, the collective reach of CBS Interactive’s entertainment portfolio will now exceed 24 million users each month, and include many of the leading brands on the web today, including: TV.com, CBS.com, The CBS Audience Network, theInsider.com, GameSpot.com, Last.fm, and CHOW.com, among others. These are among the most visited entertainment destinations on the web today, each with their own identity and audience profile, and they continue to grow in users and time spent visiting. This past year, for instance, CBS.com market share grew a category-leading 41 percent. Combined with the power of America’s most watched network — CBS Television — CBS Interactive offers unparalleled consumer reach online and offline. · Sports: CBS Interactive is a leader in athletic coverage, from sites devoted to professional sports to the largest collection of collegiate brands. Among its top destinations are CBSSports.com, CBSCollegeSports.com, NCAA.com, and MaxPreps.com, representing one of the digital world’s largest sports footprints. Working with CBS’s leading broadcast and radio properties, CBS offers the unique opportunity to reach a wide group of people who are passionate about sports across the internet, television and radio. · News: Two of the strongest news sites in their own right, CBSNews.com, a leader in world news, and CNET News.com, the leader in technology news, combine to create the sixth largest property in the Current Events/Global News category. From breaking news and international reports to coverage of business, politics and technology, the combination of these two destinations gives users a global perspective they cannot find anywhere else. · Business: Eighteen million users each month have come to rely on CBS Interactive’s business properties, which include BNET.com, the cornerstone of the business category, and leading sites like ZDNet and TechRepublic. Collectively, these assets are among the fastest growing destinations in the expanding business category and offer users the latest and most insightful business coverage, with unique perspectives on management and technology. Today marks Day One for the newly expanded CBS Interactive division. The combination of all these phenomenal properties elevates CBS Corporation among the best players in the digital space, and I’m confident under Quincy and Neil’s leadership our competitive position will only get better. Please join me in congratulating Quincy and Neil on their new roles, and welcoming all the talented employees of CNET Networks, Inc. into the CBS Corporation family.